Recent transfer activity at Italian giants Napoli looks set to open the door for clubs to swoop for Colombian striker Duvan Zapata. In the aftermath of their Italian Superior victory, Napoli have moved to further strengthen their attack by signing Serie A striking sensation Manolo Gabbiadini from Sampdoria, apparently to partner their key striker Gonzalo Higuain up front. As a consequence, Zapata looks likely to fall further down the pecking order and would benefit from at least a loan move to get more playing time. West ham we previously on the verge of signing the Colombian from Estudiantes but, having agreed a £7m deal, fell foul of work permit regulations as Zapata has not played in more than 75% of his country's international fixtures over the past two years and West ham could not convince the FA that he was a special case by virtue of "outstanding talent". Of note, Chelsea overcame a similar issue when signing Willian by successfully arguing that he was an outstanding talent and that the standard of football in Brazil was so high that he would have met the required criteria were he from most of the other top 70 nations in the world. With the likes of Radamel Falcao and James Rodriguez up front, along with his qualification under Italian regulations, the Hammers can now revisit the possibility with renewed hope. For his part, Zapata has performed well when given the opportunity, scoring 4 goals in 9 starts this season, and his physical style would almost certainly be more suited to the Premiership than the chess-like tactical snoozefest that is Serie A. However, much of what happens next will depend upon whether the likes of Liverpool are successful in trying to persuade Higuain to leave Italy for the Premiership. Meanwhile, Hammers are unlikely to be considering a double swoop to also include former target Michu, as the Spaniard's time at Napoli has been disastrous. A serious loss of form meant he had not scored for them until a recurrence of his ankle injuries necessitated surgery that was performed last month. Speculation only but it makes sense. 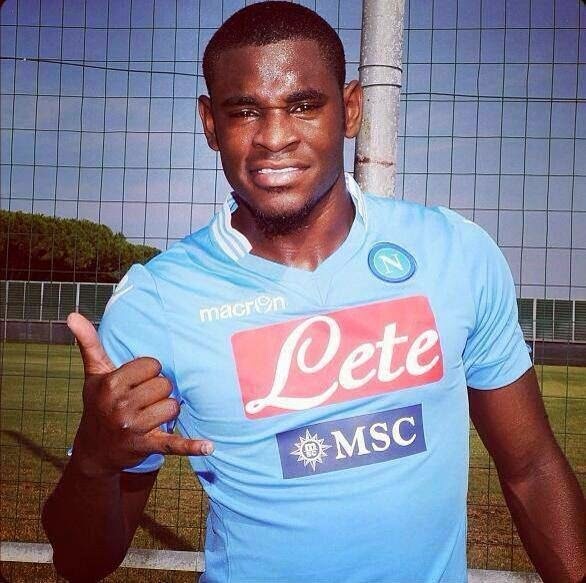 You'd have to wonder why he isn't getting a better chance at Napoli. 'Chess-type tactical snoozefest'. Have you watched Italian football lately? With the hand like that, and the thumb pointing towards the mouth, is an indication of a drink (not necessarily an alcoholic one) in Colombia - vamos Santafe De Bogota - any way he would be a good signing for West Ham, lets hope we get him!